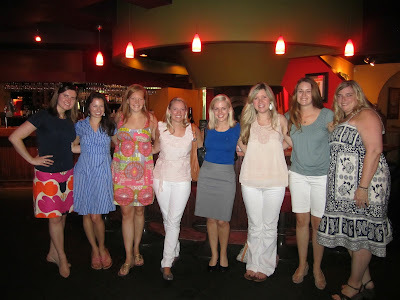 Last night, I was invited to join some other Charlotte bloggers (and a few who drove to Charlotte!) for dinner at a delicious local restaurant, Mama Ricotta's. We all know there's nothing more fun than a girly dinner date, rich Italian food, and red wine! We had the best dinner and enjoyed hanging out with each other. Conversation was so easy, and we all felt like we'd known each other for a long time! Our 7pm dinner flew by, and next thing I knew, we were some of the last ones left in the restaurant. Before we left, we got a visit from Classic Annie who stopped by Mama Ricotta's after another dinner she had scheduled. So we all may be dragging a bit this morning after our late night out, but it was totally worth it. Alright girls, next time we're doing champagne and chocolate fondue ... and maybe on a Friday night so we can sleep in! PS - How in the world did I reach 199 followers?! I am beyond complimented! Thank you all so much for following along with me ... now who wants to be my 200th?! Since I did not have to get up quite as early as you girls I'm ok! But had a great time meeting everyone! It was so fun. What fun! I wish I lived a little closer! But let me know if you are ever in Raleigh. So fun!! Now that I'm a Charlotte blogger, hopefully next time I'll be able to come! Very nice! I love that you frequently meet up with other bloggers! That's awesome!!! I bet you girls had a blast. How fun that blog friends have turned into real-life friends! Such a cute idea to have a get together. So cool the way blogging brings people together! Haha, I'll be the 200th! 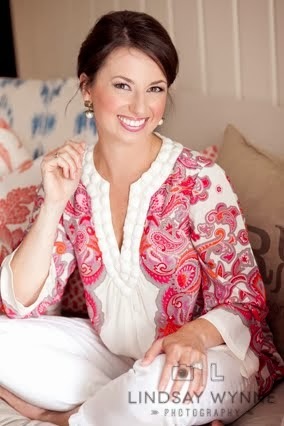 Recognized your face from Erin's pic but had no idea you had a blog. Nice to "see" you on here! How much fun!! Wish Charlotte wasn't so far away! !